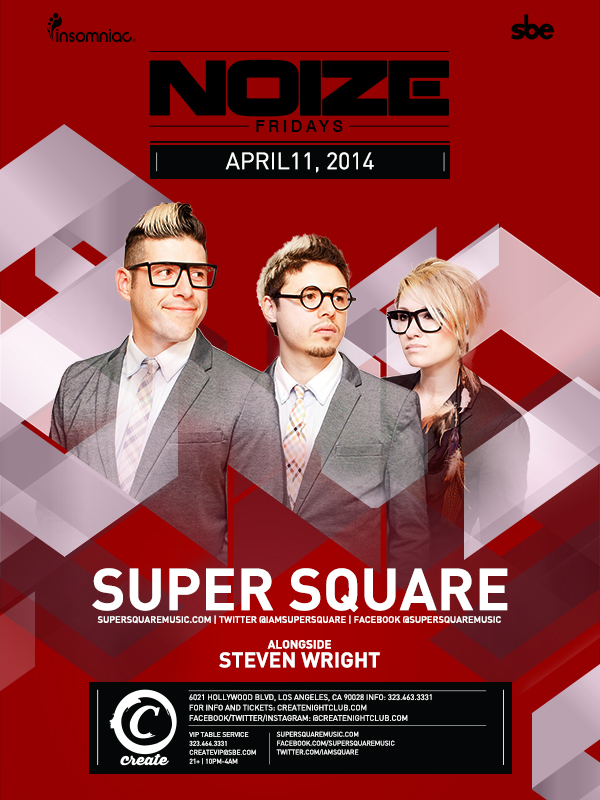 Super Square, formed in November 2011, is setting out to pioneer "Open format" production in electronica culture. This group produces and plays Progressive House, electro, Dubstep, and Drumstep among other emerging forms of electronic music. Super Square is made up of four talented artists that have merged into one collaborative sensation. A_Rival, Jimmy Hits, Helen Eugene, and Ben LaVee's creative artistry and exceptional backgrounds allow them to produce their own music, write and sing their own lyrics, and choreograph their own live performances. They are beyond just producers or Djs: they are entertainers!